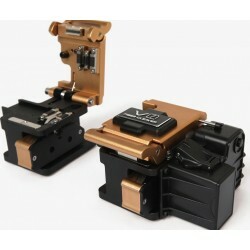 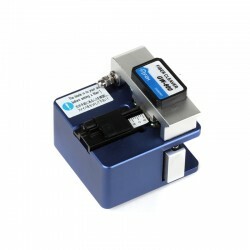 Compatible with all VIEW series fusion splicers. 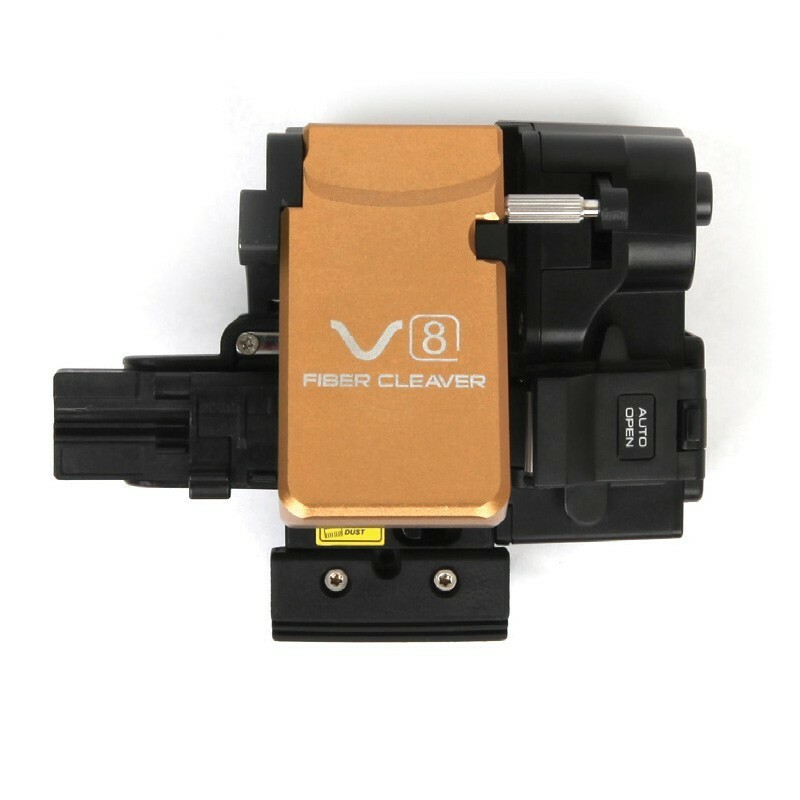 V8 Automatic High Precision Cleaver is an instrument for high precision fiber cutting. 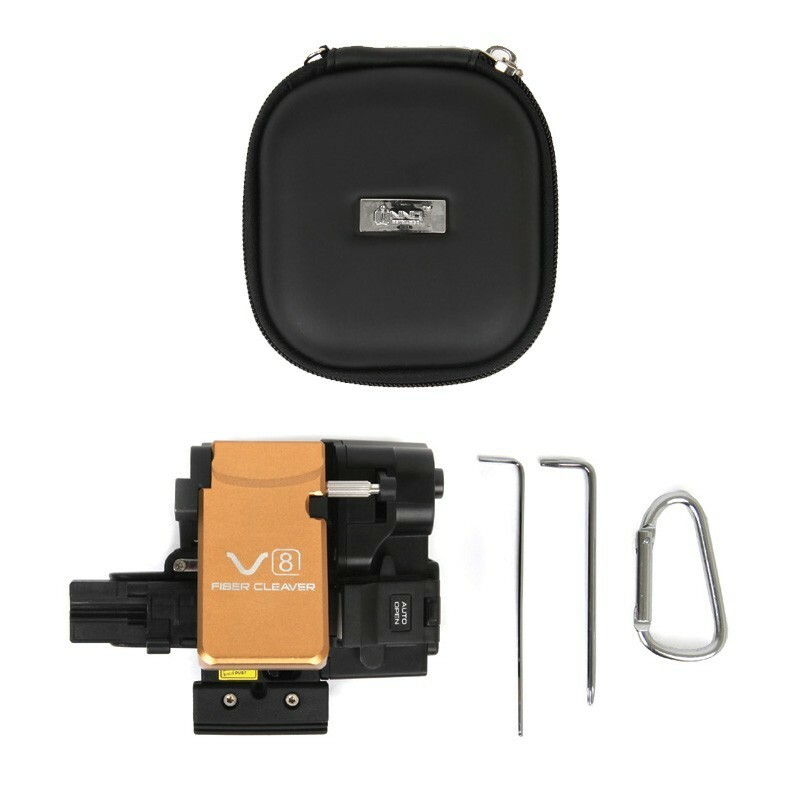 V8 can be installed with a variety of holders for ribbon cable up to 12 fibers as well as universal holder which is applicable to 250μm, 900μm, 3.0mm fiber cable and flat cable. 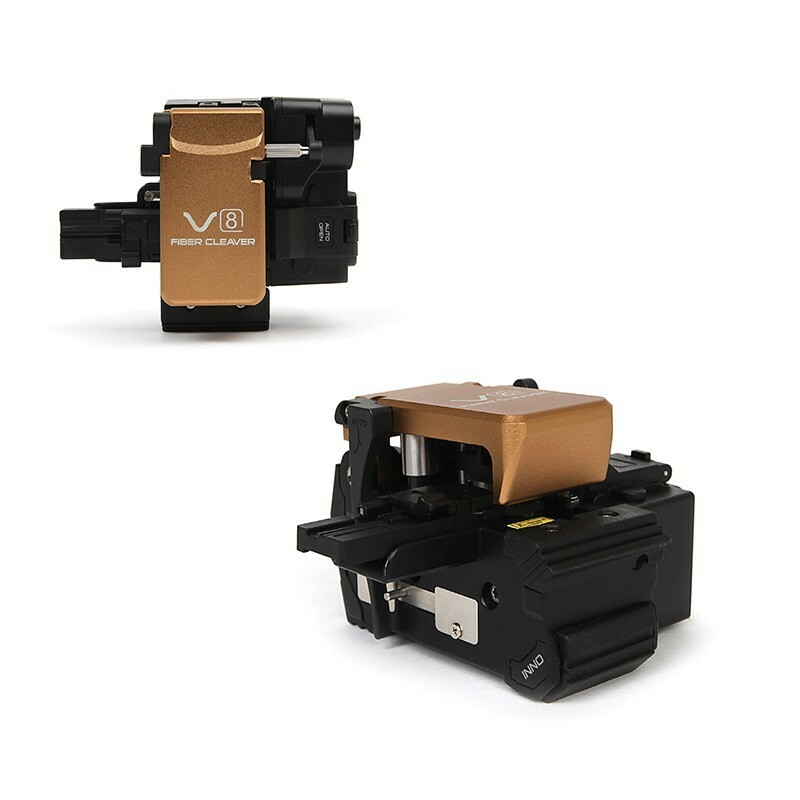 Work efficiency can be maximized with a simple 1 step operation and automatic collector for fiber shards and off cuts. 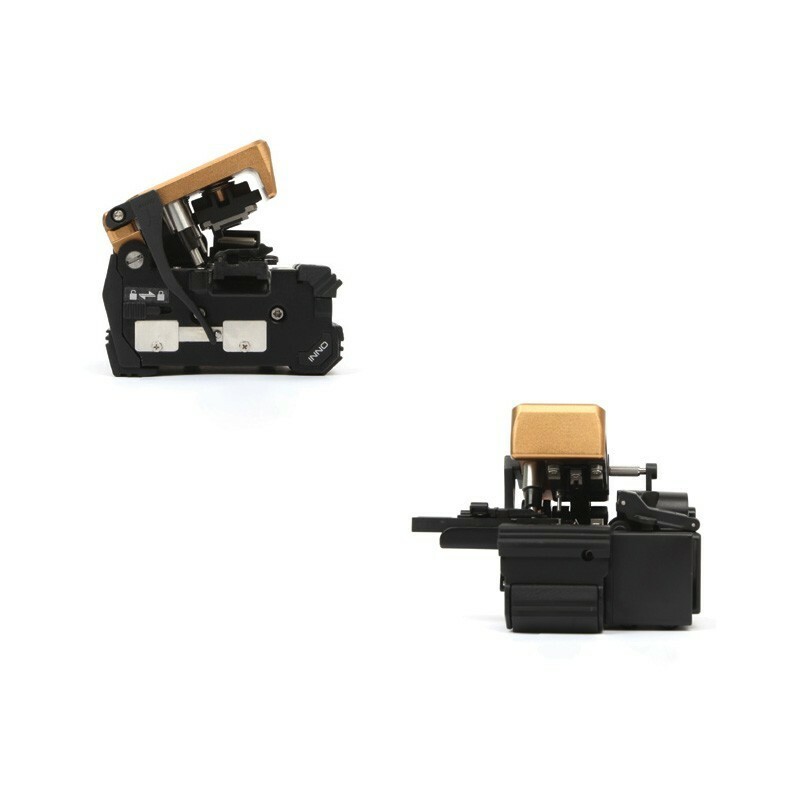 The blade provides over 48,000 fiber cleaves by easy and simple blade position selection. 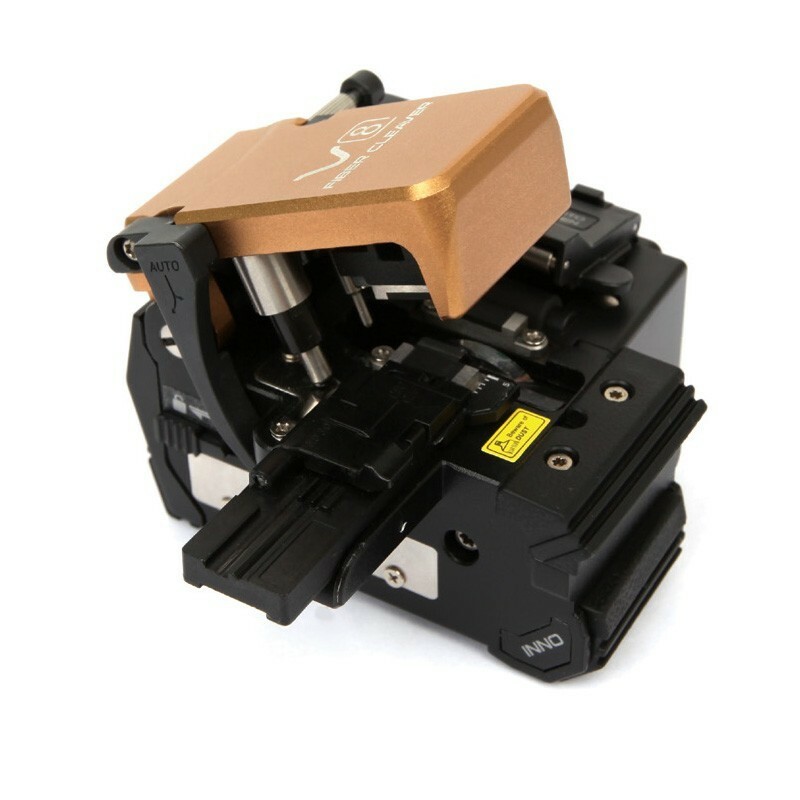 Helped by unmatched functionalities, users can achieve the most accurate cleaving and ideally prepare their fusion splicing.